for $284,900 with 4 bedrooms and 3 full baths. 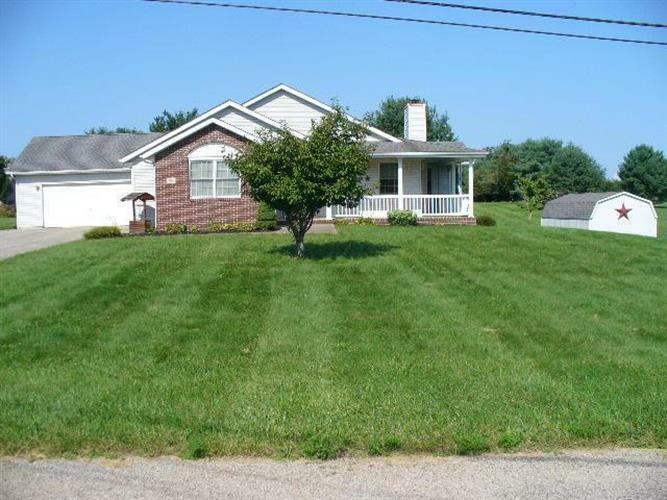 This 1,898 square foot home was built in 1995 on a lot size of 2.03 Acre(s). Roomy ranch home on 2 acres, quite community, and close to Heath. Master suite, all four bedrooms have walk in closet, partially finished lower level, with work area and lots of storage. Large deck, lower level walk- out to patio area. The furnace and air conditioner are only 6 years old and the roof is 10 years old.